"Nadal won the title here last year without losing more than four games in a single set (he dropped just 21 games in five matches!) and is justifiably a heavy favourite here, trading at 1.91 on the Exchange." The Monte Carlo Masters heralds the beginning of the important stages of the clay court season each year, and a busy schedule over the next couple of months with the tournament being the first major clay event of the season. Player performances in the three major warm-up events for the French Open - here, Rome and Madrid - will give some interesting indicators as to player levels prior to Roland Garros. Having said that, conditions are rather polarised in these Masters 1000 events on clay in the next month or two. Madrid tends to play extremely fast for a clay court, while Monte Carlo is the opposite - it's historically been one of the slowest events on tour each year. Such an assertion is rubber-stamped by historical data. Across the last three years at the venue, there have been fewer than 60% points won by servers, around 2.5% down on the tour clay mean of 62.3%. Aces per game numbers are also low, with just 0.30 aces per game served on the clay of Monte Carlo during that time period. We can assume conditions are likely to be extremely slow, which should suit return-orientated clay-courters. There can be little debate around who this is likely to suit the most. From his first title in 2005, Rafa Nadal has kept the trophy engravers busy with 11 titles - only Novak Djokovic (twice) and Stan Wawrinka have also lifted the trophy in this time period. 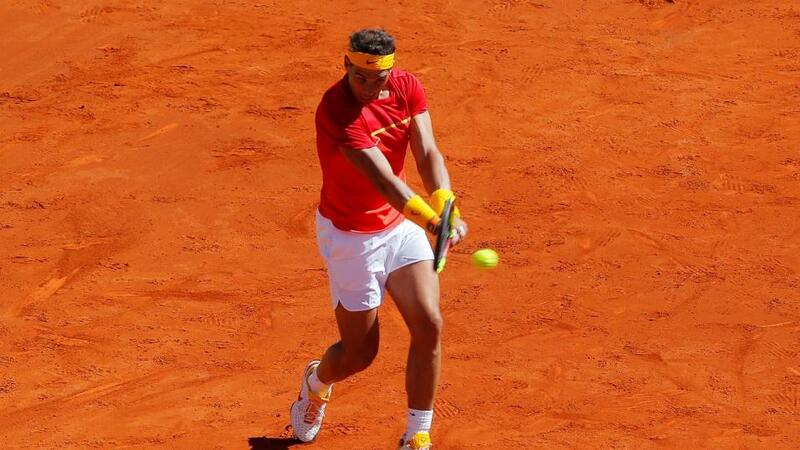 Even a look at the finalists prior to Nadal suggests a heavy lean towards players likely to be suited by slow clay, with the likes of Guillermo Coria, Gustavo Kuerten and Carlos Moya all having success previously here. Despite not being top seed and pulling out of Indian Wells with injury a month ago, there can be no doubt that Nadal is the player to beat this week in Monte Carlo. 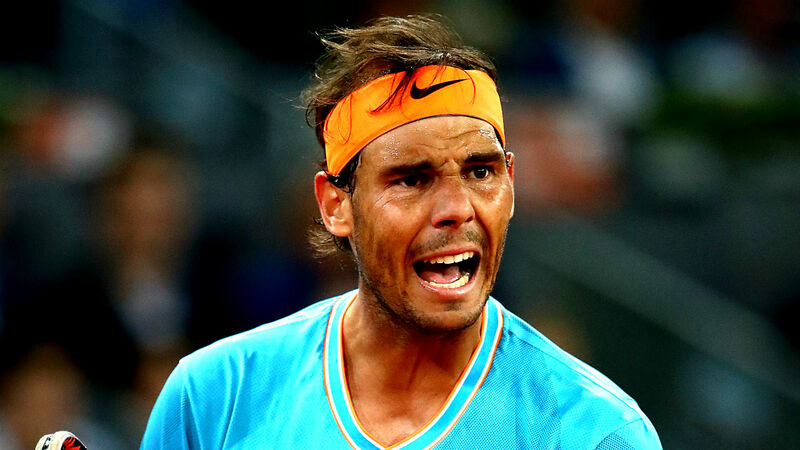 Seeds with opening round byes are unlikely to get their campaigns underway until Tuesday at least, and Nadal's combined 116.6% service/return points won percentage on clay in the last 12 months is absolutely stratospheric - he's suffered just one defeat in the surface in the last year, against Dominic Thiem in markedly different conditions in Madrid. Nadal won the title here last year without losing more than four games in a single set (he dropped just 21 games in five matches!) and is justifiably a heavy favourite here to be victorious again, trading at [1.91] on the Exchange. As most would expect, Novak Djokovic is his closest market rival although the Serb has had issues himself in the March Masters on hard court in the US, losing to Philipp Kohlschreiber and Roberto Bautista-Agut as a heavy favourite on both occasions. It's also worth noting that he's only played five competitive matches since the Australian Open at the end of January. Djokovic is trading at around [4.2] to lift the trophy on Sunday, and it's difficult to justify such a price on a player who has struggled a little of late and didn't have a great clay court season in 2018. 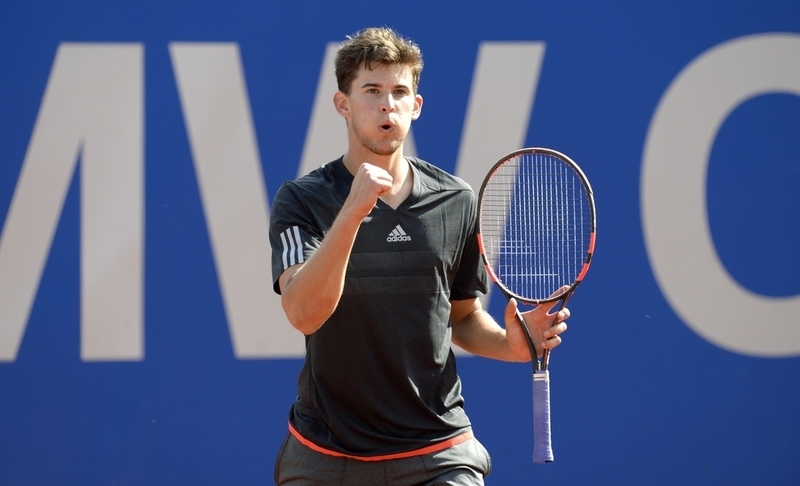 Perhaps Dominic Thiem could be the man to come through the top half of the draw. The Austrian has a strong preference for slower conditions and an excellent pedigree on his favoured clay courts. I think a solid plan could be to try and get matched at around [9.00] on the Exchange, in line with market pricing. I'm not keen to look at players in Nadal's half of the draw for obvious reasons, but unless Djokovic starts the tournament in red-hot form, I'm not convinced I'd make Thiem much of an underdog against Djokovic on slow clay currently in a potential semi-final. Away from the outrights, there are four first-round clashes today as the tournament starts with a rather low-profile beginning. I've never really understood why some events have a token few matches on Sunday to get underway, and there's little in the way of pre-match value to be had in these four match-ups, according to my model. However, there are some interesting meetings for the neutral, with Hubert Hurkacz and Borna Coric's match-up potentially a high-quality encounter - I have reasonable expectations for both on clay this year - while it will be interesting to see where Grigor Dimitrov is at, as he takes on the competent Matteo Berrettini. It's been a tough 12 months for Dimitrov, and his clay data across the last couple of years is uninspiring - I'm also far from convinced that this slow clay will suit him. We also see former champion Stan Wawrinka get his campaign underway as he faces Frenchman Lucas Pouille. After reaching the Australian Open semi-finals in what was rather a shock, Pouille's struggled to win a match since and Wawrinka looks justified in being a solid [1.51] favourite to make round two - although as with Dimitrov, my expectations are a little guarded for his chances of making the latter stages.